Family-friendly places like Santa Claus Village and Duudsonit Activity Park - TornioHaparanda will thrill your kids. Step off the beaten path and head to Amethyst Mine Lapland and Lumberjack's Candle Bridge. Step out of Rovaniemi with an excursion to Pyha-Luosto National Park in Pyhatunturi--about 1h 30 min away. There's much more to do: get in on the family fun at SantaPark - the Home Cavern of Santa Claus, don't miss a visit to Santa Claus Office, catch some excitement at Feelapland, and engage your brain at Pilke Science Centre. 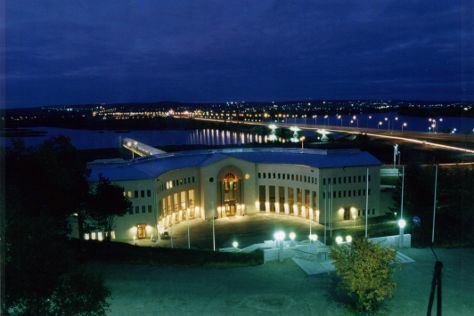 Use Inspirock's suggestions to plan your Rovaniemi trip and find the best activities and attractions for your vacation. In December, daily temperatures in Rovaniemi can reach -6°C, while at night they dip to -13°C. Wrap up your sightseeing on the 28th (Sat) to allow time to travel back home.